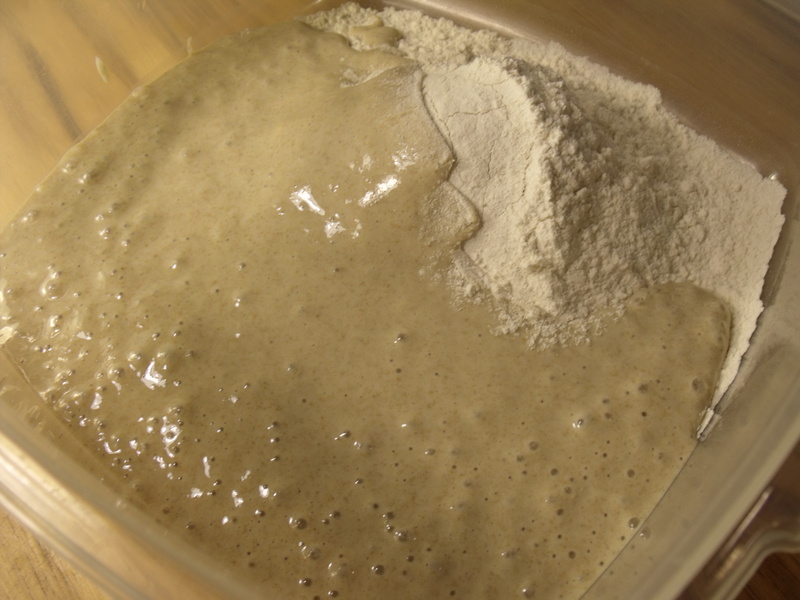 I read that it is a good idea to first use your sourdough starter on recipes that don’t need to rise very much – like crackers, pancakes, etc – until the starter gets stronger. So, for my first ever sourdough recipe with my new homemade starter, I decided to make Kitchen Stewardship’s muffin recipe, going with the Pumpkin variation (of course!). 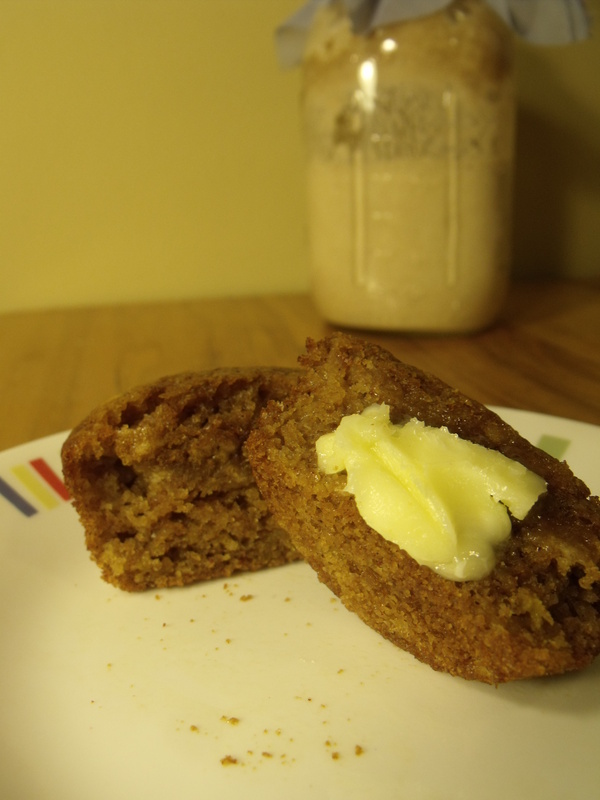 You can head over to that webpage for the delicious recipe. It made 12 and I’m pretty sure they will be gone before tomorrow is over (maybe even today….). 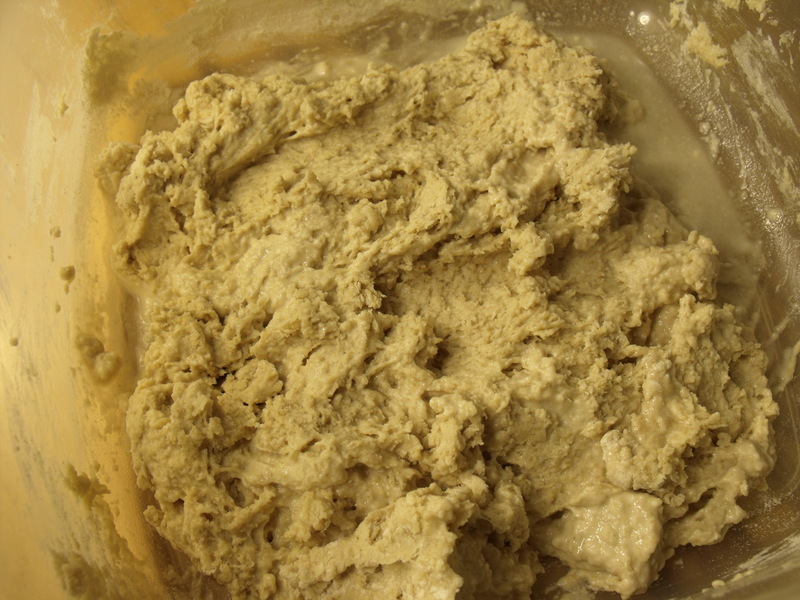 First I had to mix flour with my “discarded” starter and let it sit for 7 hours (aka while I was at work). 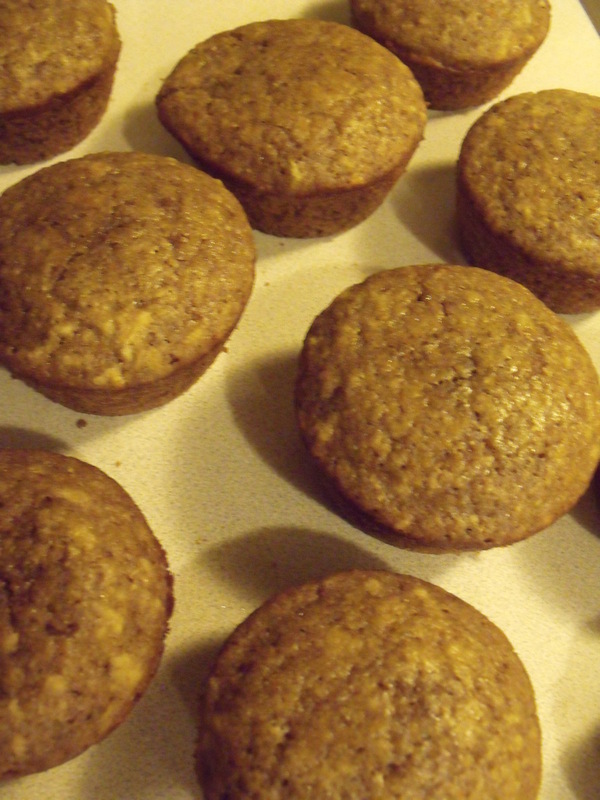 This is what it looked like – it didn’t really rise very much either. Need to keep using that starter so it gets stronger. Mmmmm.. I had to really bring out the self-control to not eat more than the two I did! They didn’t really taste like sourdough at all, so if you don’t like sourdough (like my husband) that is a little bonus.